If you’ve ever had one too many Big Macs, a trip to the emergency room might be the logical next stop after a Micky D’s burger binge. But this particular incident had nothing to do with overindulging. It had to do with product liability and McDonald’s failing to disclose some pretty important information about their new product – which opened them up to an unsavory legal case. Want to avoid the same situation faced by our friends with the golden arches? 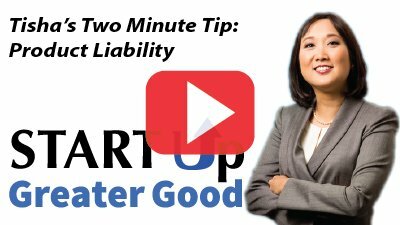 Watch this week’s two-minute tip on product liability. Find out what they did wrong and what you can learn from their mistakes.